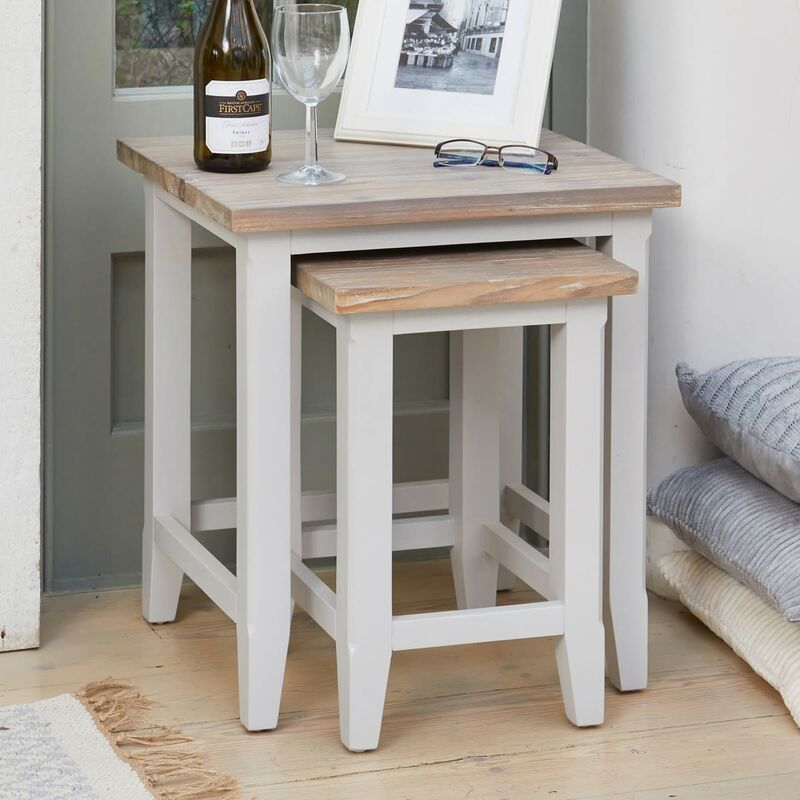 What could be more practical and versatile than the Signature Grey Nest of Tables? 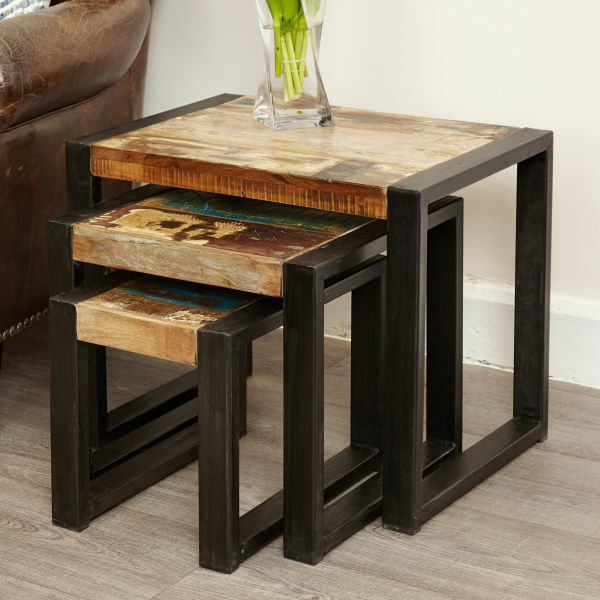 They're just the thing for a lamp, a drink, an ornament or even a make shift table for a TV dinner. 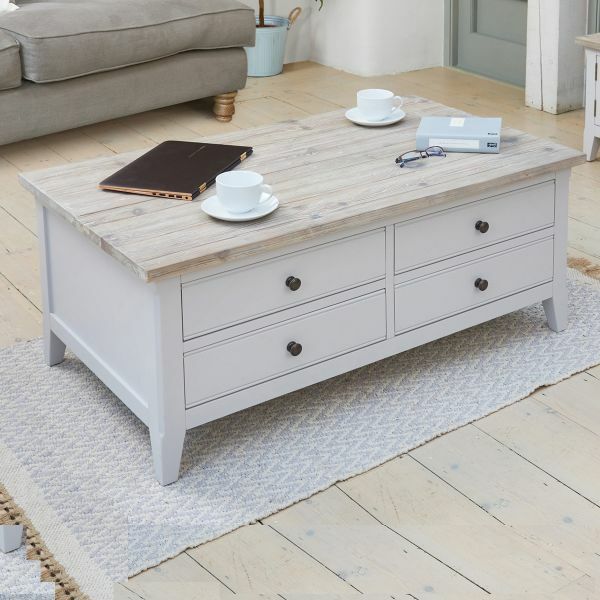 This handsome duo have hand distressed tops which offer a chic contrast to the grey painted frames. 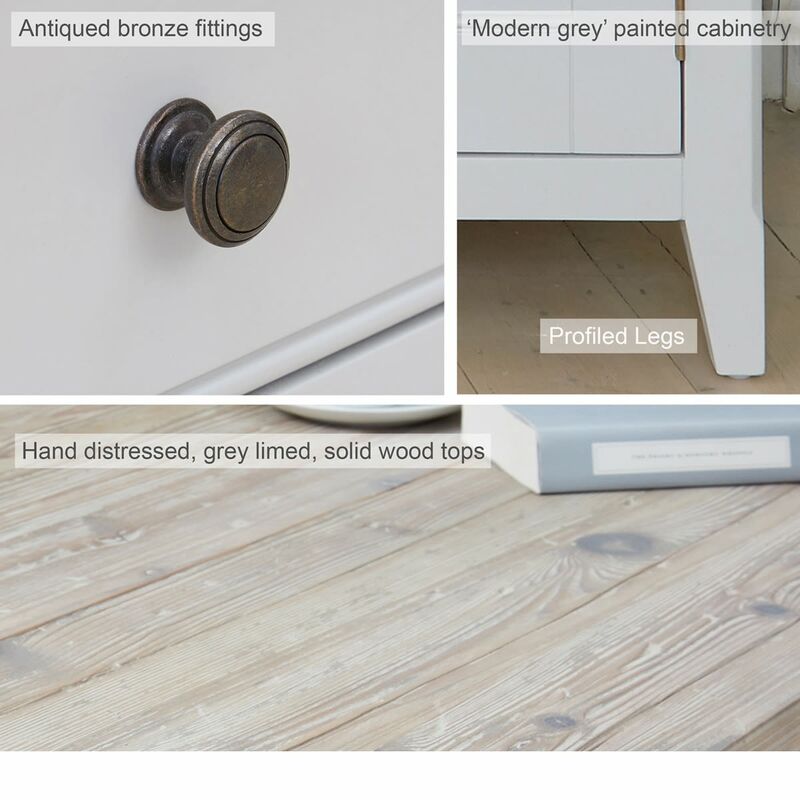 The colour and style go with any interior décor and on the rare occasion you're not using them, they nest neatly together to save space. 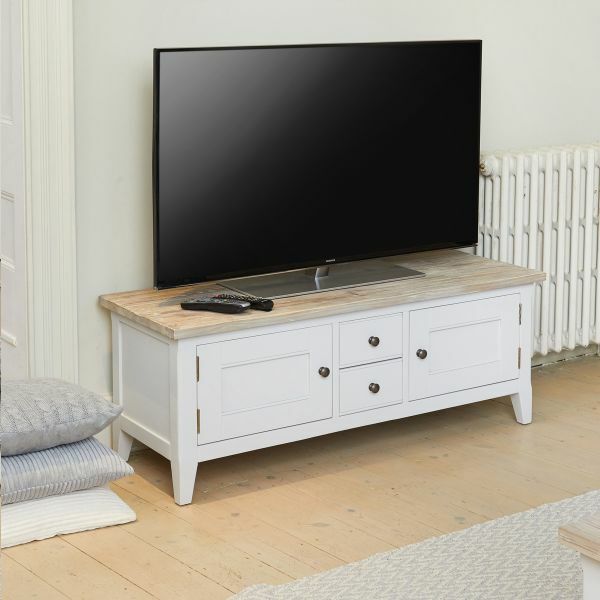 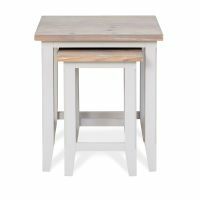 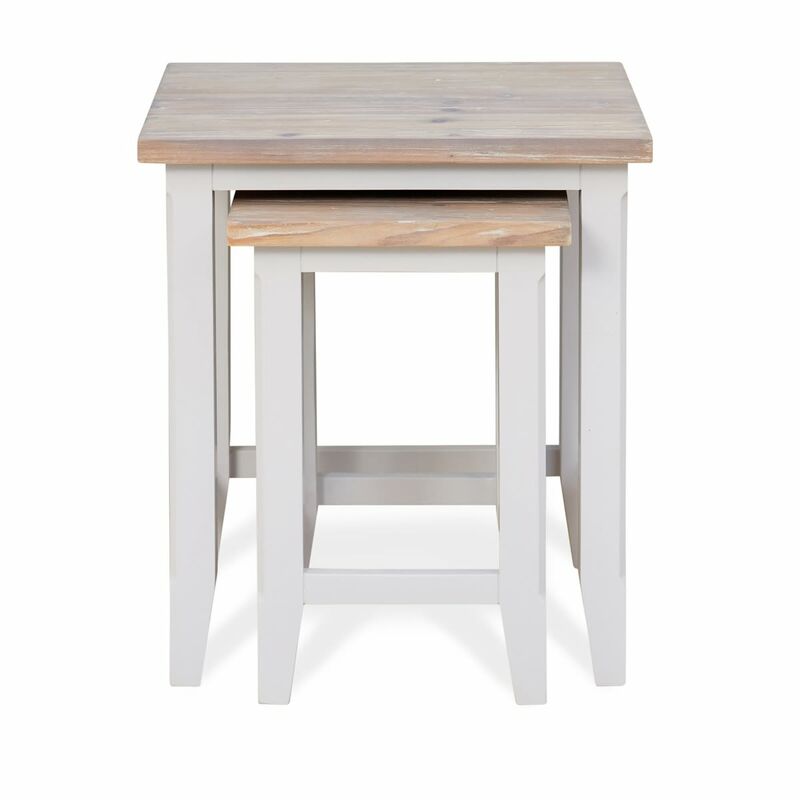 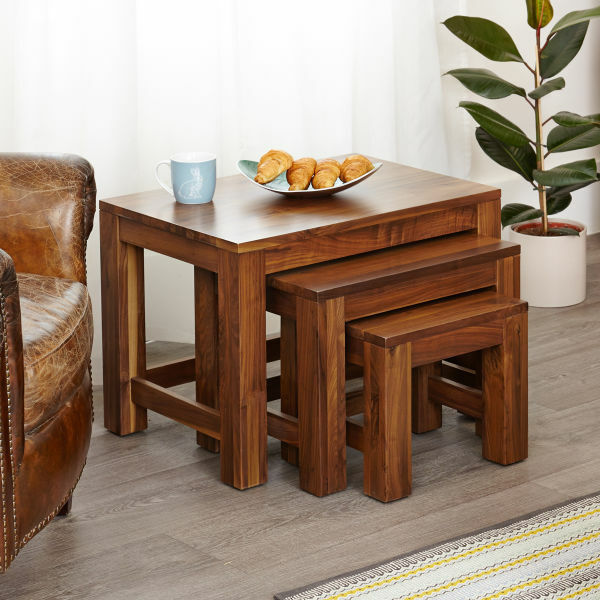 Crafted from solid wood throughout, these adaptable nest of tables are solidly built, delivered fully assembled within five working days and comes with a five year manufacturer warranty. 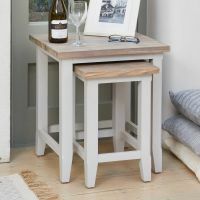 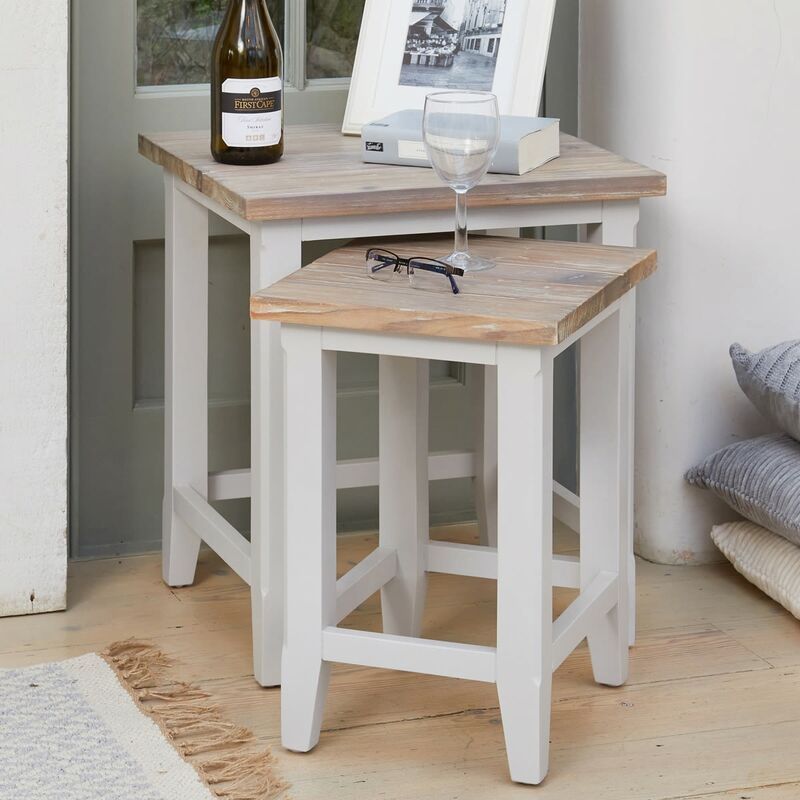 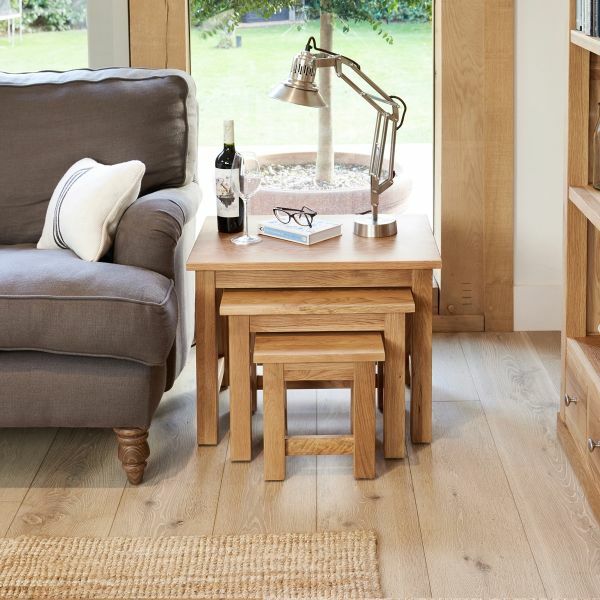 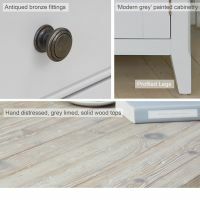 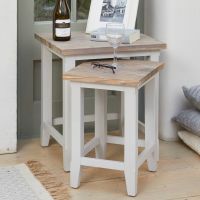 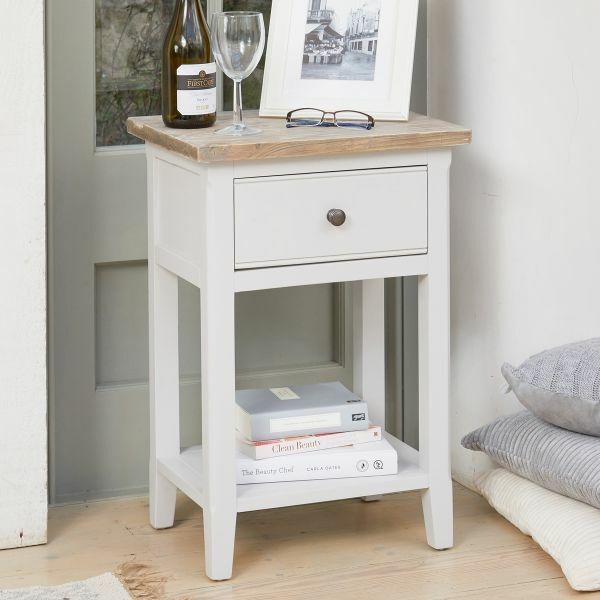 If you're looking for a stylish alternative, why not consider our best selling Mobel Oak nest of tables?